At last month’s ACWA conference, a panel of agency officials discussed current hydrology and some of the factors driving state and federal decision making on the operation of State Water Project and Central Valley Project, as well as touched on ongoing initiatives related to the future of the state’s water system, including implementation of the Sustainable Groundwater Management Act, the California Water Action Plan, and the California Water Commission’s Water Storage Investment Program. Seated on the panel is Joe Byrne, Chair of the California Water Commission; Taryn Ravazzini, Deputy Director for Special Initiatives with California Department of Water Resources; Ron Milligan, Operations Manager for the Central Valley Operations Office of the US Bureau of Reclamation; and Jay Lund, Director for the Center for Watershed Sciences at UC Davis. The panel was moderated by Adam Robin, a Regulatory Advocate with ACWA. Dr. Jay Lund is Director of the Center for Watershed Sciences and professor of civil and environmental engineering at UC Davis. Jay’s principal work is in applied systems analysis and economic ideas to water resource and environmental problems. 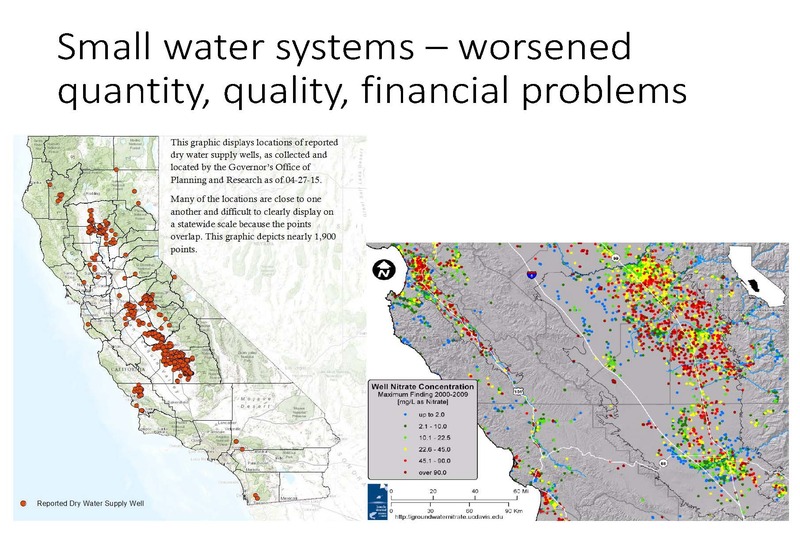 He has led development and application of a large scale optimization modeling for California’s water supply, as well as other modeling and policy studies. 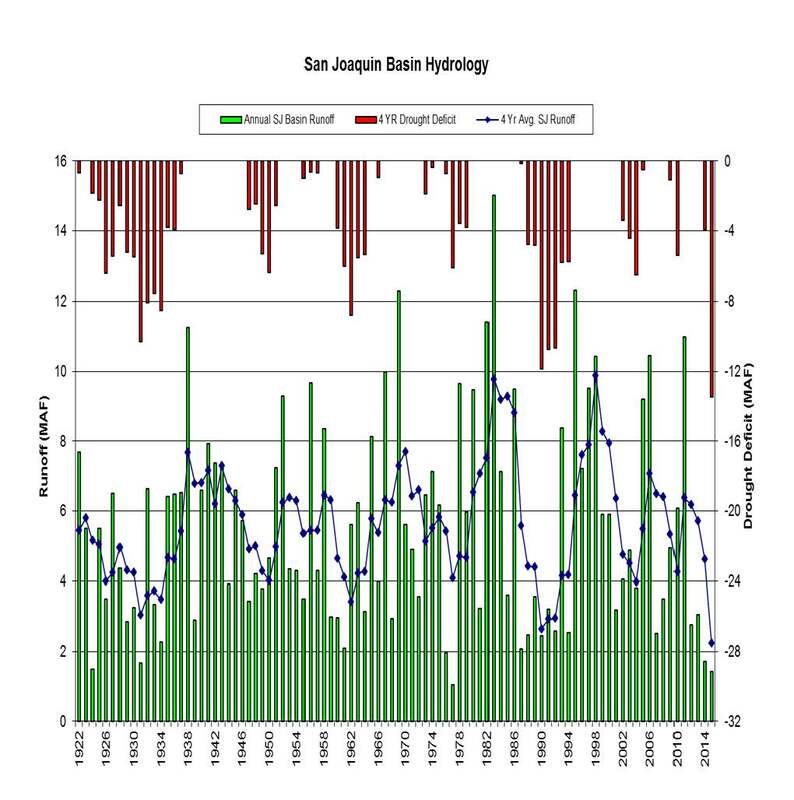 He’s the principal author of many papers and several major books and reports on California water policy, including the Public Policy Institute of California’s Managing California’s Water: From Conflict to Reconciliation, as well as other work on the Bay Delta and nitrate contamination of ground water. 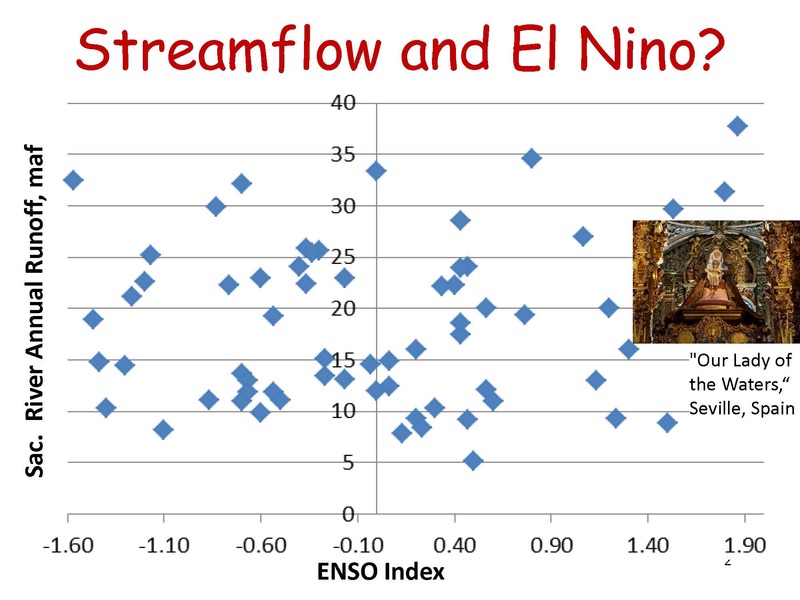 His work mostly involves integrating ideas from engineering, economics, hydrology, and operations research to provide policy and management insights. 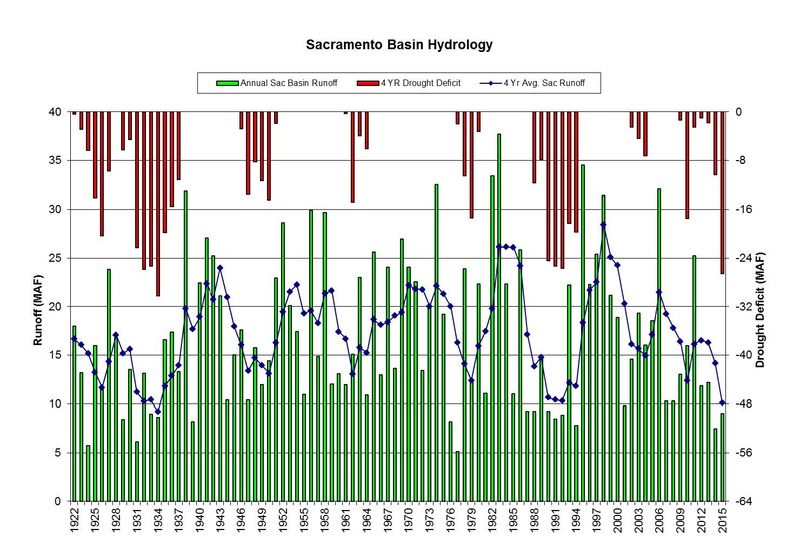 He has been president of the University’s Council on Water Resources, convener of the California Water Environment Modeling Forum, and is currently chair of the Delta Stewardship Council’s independent science board. 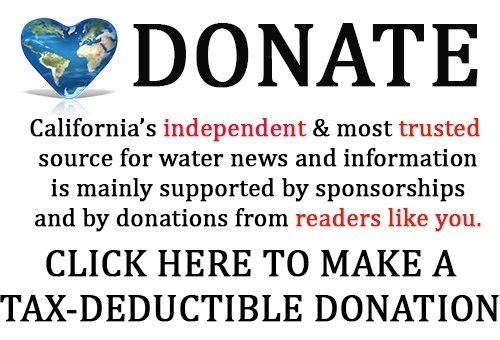 He’s a frequent contributor to CaliforniaWaterBlog.com, which has become required reading for many in the water policy space. Dr. Jay Lund began with one of his favorite sayings from Heraclitus, about 500 BC. “’You can never step in the same river twice’; you can never experience the same drought twice, never the same drought year twice,” he said. There will still be groundwater issues particularly in the southern part of the Central Valley and for rural drinking water systems. “Who knows how long it’s going to take for those groundwater levels to recover so those communities get their groundwater back and they’ll have some water quality implications that might last a long time,” he said. 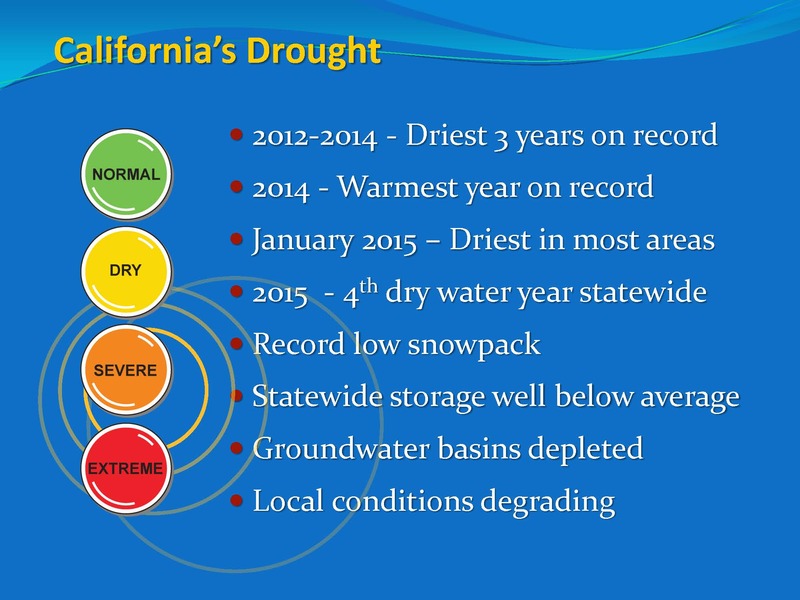 However, the drought has been an impetus for improving water management, Dr. Lund pointed out. “The drought has been bad to us in many ways, but it’s been good to us in forcing us at the policy level to make some decisions and to make some moves forward, so hopefully we’ll be able to continue to make improvements over the inertia,” he said. 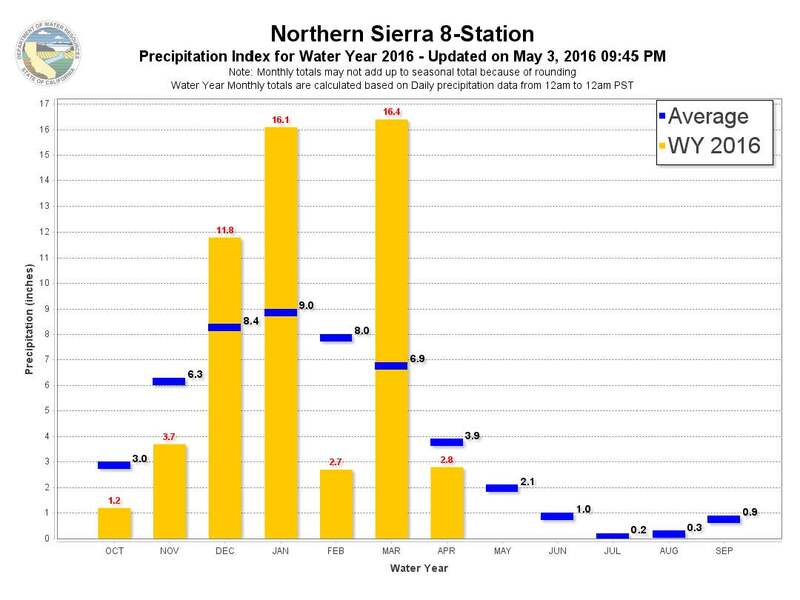 Precipitation in the northern part of the Sacramento Valley was a good bit above average; The San Joaquin Basin didn’t receive quite as much, but was still a little above average; and the Tulare Basin also right around average, but definitely not a wet year, he said. Snowpack this year is about average in the northern and central parts of the state, but a bit lower than average in the southern portion, he said, noting that it’s melting off faster than average. It doesn’t look like the drought barrier will be needed this year, who knows about the future, he said. 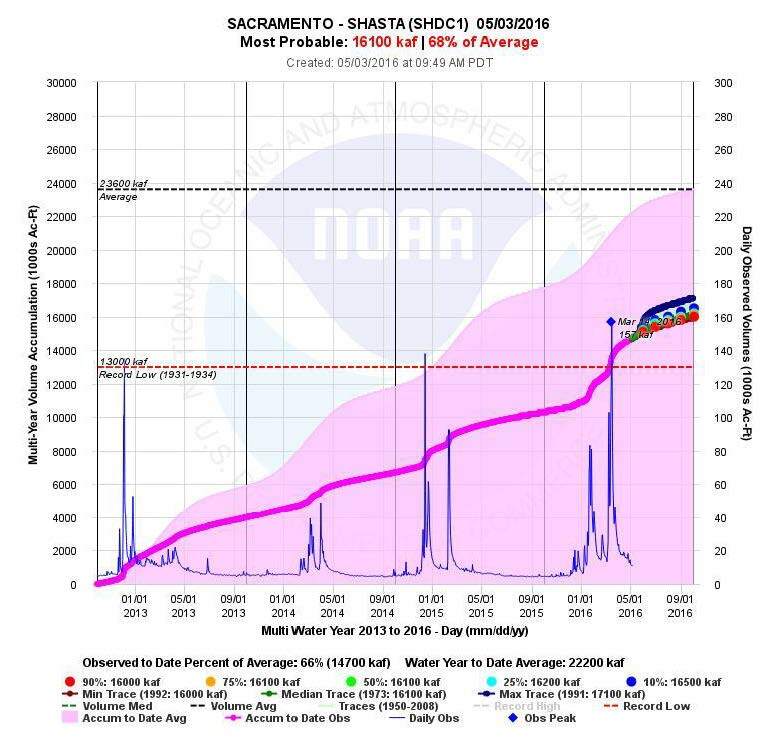 “It was certainly one of the biggest innovations of the drought this year that hopefully gets people thinking that the Delta as it is now is not God given, and we should be thinking about how to make it better for all the different purposes that we have in mind for it and to do that explicitly,” he said. “Going forward, one of our biggest things is going to be sort of a failing ecosystem management and the water accounting system; we need to have a consistent, well-agreed-upon, statewide, authoritative water accounting system,” he said. Ron Milligan heads the US Bureau of Reclamation’s Mid Pacific Region Central Valley Operations Office and directs the real-time system operations of the Central Valley Project. The functions of the Central Valley Operations Office include coordinating system operations with the State Water Project, operations forecasting, water supply allocations, flood management operations, control and scheduling of power generation, and review of maintenance of power and pumping facilities. Ron Milligan has worked with the Mid Pacific Region since 1999 and has served as the operations manager since 2004. He began his career with the US Army Corps of Engineers in 1984, working as a civil engineer in the Sacramento District. He worked on high flood modeling, floodplain management, planning investigations, and reservoir operations with the Army Corps. Also during his time with the Army Corps, he was closely involved with flood operations and post-flood recovery for the 1986 and 1997 floods. 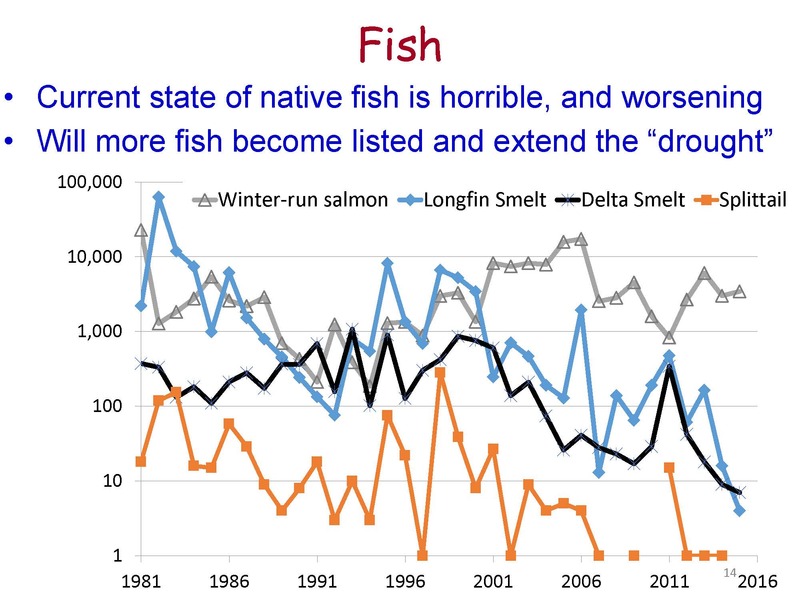 Ron Milligan began by going back to Dr. Lund’s previous slide and noting that last year, they were not pumping at the r ates that some folks thought we should when there was the excess in January and February. Taryn Ravazzini is the Department of Water Resources Deputy Director for Special Initiatives. In that position, she’s responsible for complex projects related to implementation of the California Water Action Plan with an emphasis on the Bay Delta. 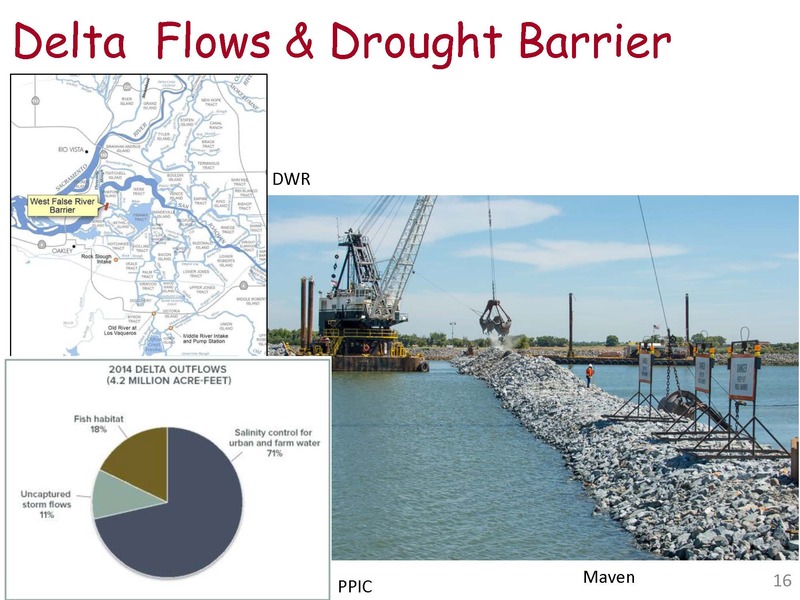 Before joining DWR, Ms. Ravazzini held an appointment as the coordinator for the Delta Stewardship Council’s Delta Plan Inter-Agency Implementation Committee. Before that, she worked as a strategic public and governmental relations consultant specializing in natural resource and local government issues. She held multiple positions with the Association of California Water Agencies, both in Sacramento and in Washington, DC, and her other professional experiences include working for US Senator Barbara Boxer and the Judicial Council of California’s Office of Governmental Affairs. Taryn is a graduate of the Golden Gate University School of Law and a member of the State Bar. The Water Action Plan has been moving forward aggressively and cohesively in a number of areas with the passage of Proposition 1, the $7.5 billion bond act that’s currently being implemented and providing state funding for water infrastructure, projects, and programs throughout the state, she said. Most of those funds will be awarded to local agencies through competitive grants that will leverage local cost shares and increase the total investment substantially, she noted. 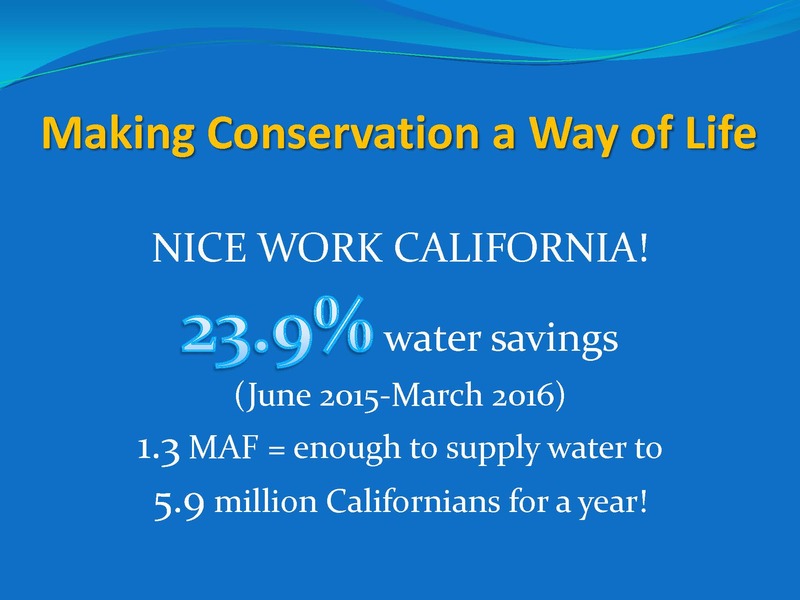 The Water Action Plan emphasizes habitat improvements which are important if we’re really to reach our sustainability goals; it emphasizes inter-regional projects, such as $2.7 billion in Proposition 1 for storage projects that will help facilitate broader improvements, said Ms. Ravazzini. Joe Byrne is chair of the California Water Commission. 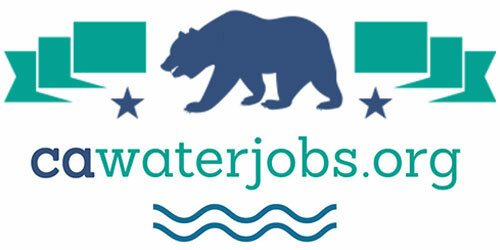 The Commission’s responsibilities are to advise the director of the Department of Water Resources, prepare an annual report for the legislature on the state of the State Water Project, and approve all regulations developed by the Department of Water Resources, including DWR’s SGMA Basin Boundary and Groundwater Sustainability Plan regulations. The Commission was also tasked with adopting regulations for the distribution of Proposition 1’s $2.7 billion for the public benefits of water storage projects and making the ultimate funding decisions. Mr. Byrne is a partner in the law office of Best, Best, & Krieger and is a member of the firm’s environmental and natural resources law practice group. He worked in the California State Assembly from 1998 to 2002, where he served as counsel in chief of water and public safety policy consultant to the Speaker of the Assembly. 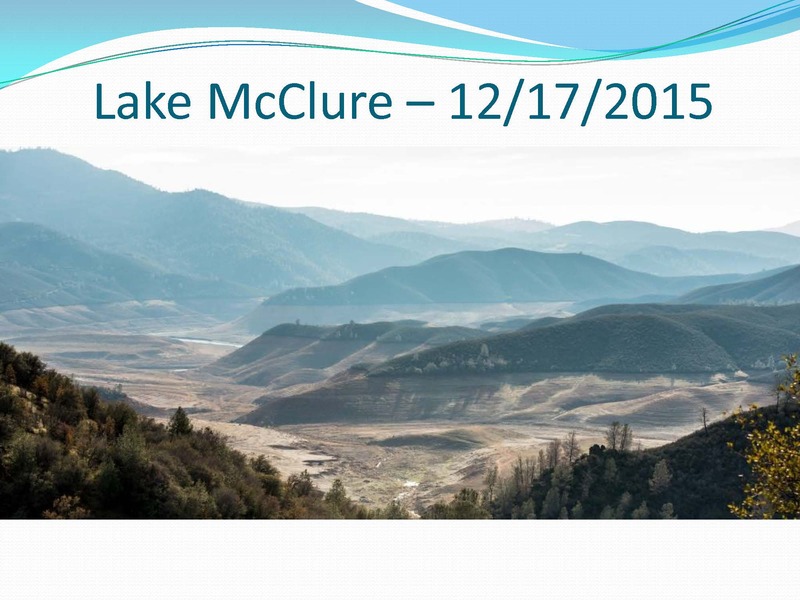 Joe Byrne then gave an update on the activities of the California Water Commission. The Department of Water Resources will be submitting to the Water Commission a proposed final list and designations likely in June, with a final formalization of those new boundaries in the later fall of 2016, he said. 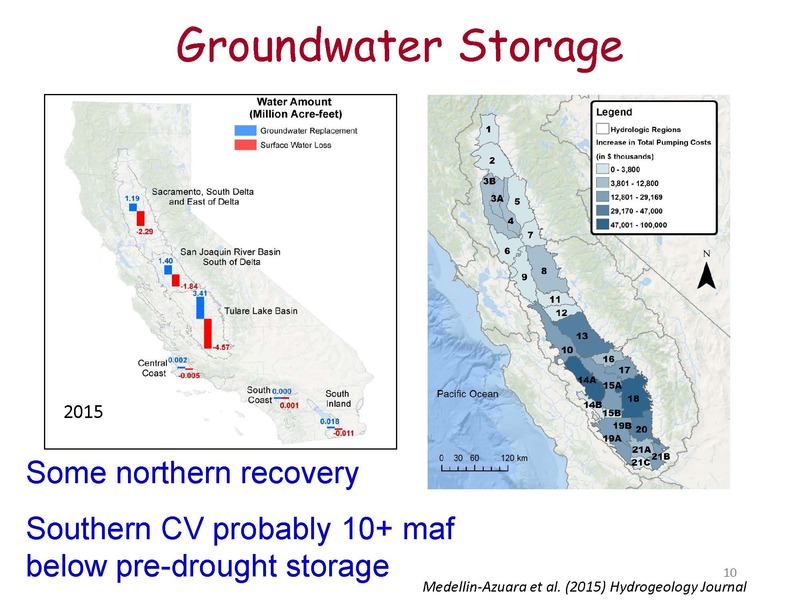 People are working hard at forming Groundwater Sustainability Agencies; it’s incredibly complicated and in certain basins, there are a number of parties involved and interests involved, so the expectation is that in 2018 or 2019, there will be another opportunity to request a basin boundary adjustment. The Commission has also been working on the regulations for groundwater sustainability plan and alternatives, which define in essence what goes into your plan to show that you’re going to be achieving sustainability by the year 2040 or 2042, depending upon whether the basin that is in overdraft or not. “There was a lot of feedback on both sides, some of the criticism being that it should be more locally driven and less information should be provided, as well as there should be more information provided and the state should have a heavier hand, so I think we’re trying to find a balance of listening to people,” he said. Mr. Bryne then turned to the California Water Commission’s responsibility of developing regulations and selecting the projects to receive a portion of the $2.7 billion in water storage funds from Proposition 1’s Chapter 8. 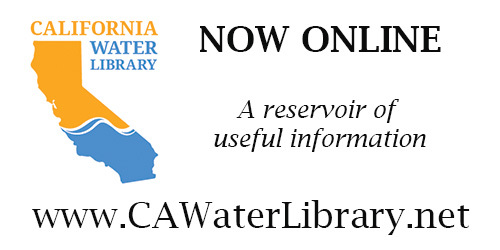 Eligible water storage projects are the CalFed projects, groundwater projects, reservoir re-operation and conjunctive use projects, and local and regional surface storage projects. The projects also must provide measurable improvements to the Delta ecosystem or its tributaries, it must improve the state water system, and it must be cost-effective, he said. 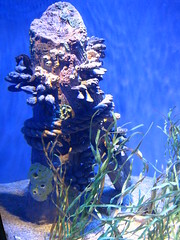 Mr. Byrne acknowledged that the legislation is complicated, something they have struggled with. The legislation specifies that the monies can only be used to fund the public benefits associated with the water storage projects, which are ecosystem improvements, water quality improvements, flood control benefits, emergency response, and recreational benefits. It’s an ongoing process which is in the formal rule-making stage right now; Mr. Byrne invited those who interested to participate. “We’re very motivated to do this in a timely fashion, understanding that, while these projects may not be built in time to assist with the current somewhat ongoing drought, they are important pieces of the puzzle going forward,” he said. The floor was then opened up for questions. 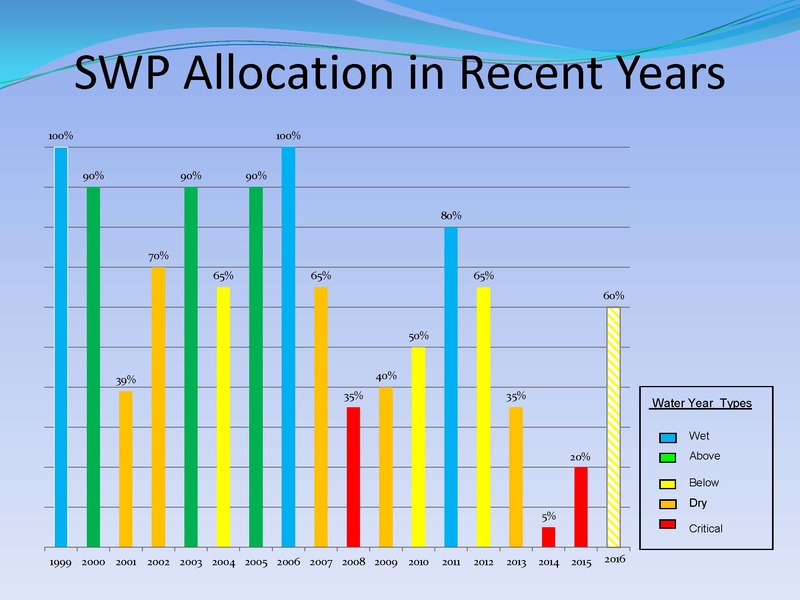 Question: Ron, you had the slide up there that showed the deficit, and as I recall from seeing your presentations to the State Water Board, you projected that Shasta, Oroville, and Folsom will all fill this year in the next few weeks. My question is, other than maybe some additional flood control releases, what sort of benefit or consequence would there be to any less of a deficit, given that the reservoirs are expected to fill? If there’s no place else to put the water, what difference does the deficit make? Question: You talked about some of the reservoirs that are doing pretty good. 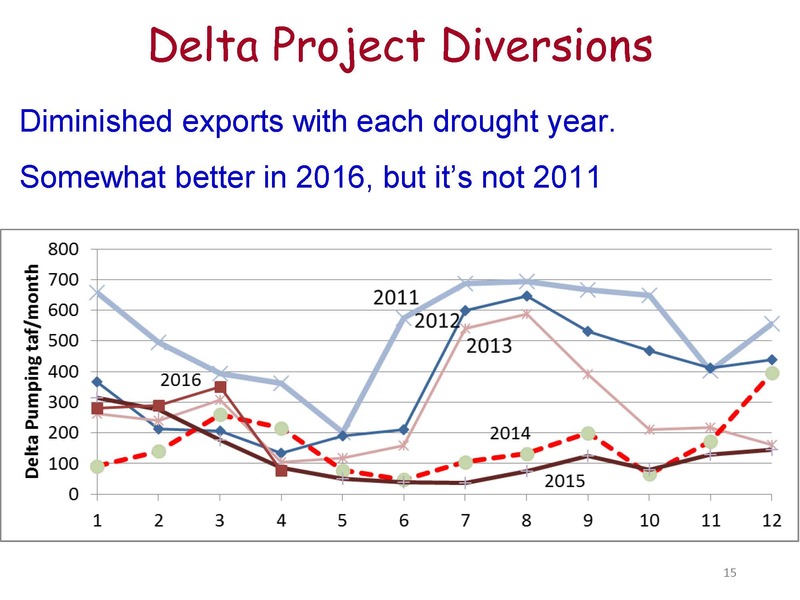 I was wondering if you could just quickly address the heavy reliance on New Melones for Delta flows. Are there any alternatives to maybe spread that burden across some other sources? For more coverage from ACWA conventions, click here.